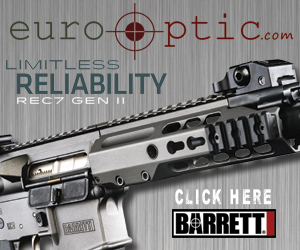 For 2014, Burris introduced the new AR-1X Prism Sight for fast CQB shooting in competition or tactical environments. Featuring a highly visible reticle suitable for CQB operations, it also provides trajectory compensation out to 600 yards. The illuminated reticle is available in red, green, or black. The black reticle is functional with or without battery power. The AR-1X runs on a single AA battery with a 1,000 hour runtime and is night vision compatible. The AR-1X retail price is to be determined. For more information visit, http://www.burrisoptics.com/.